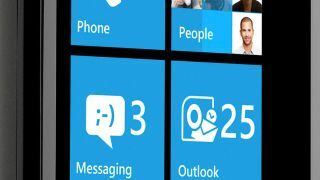 Nokia has let slip that Windows Phone 7.8 could be landing on users' handsets in just weeks, if not days, as the updated software has now been released to manufacturers. The news comes from a developer seminar in Singapore, where the head of Nokia Asia Pacific Developer division let slip that the RTM had happened. Reportedly, he told devs that the consumer roll-out would definitely happen before 2013, and added that WP7.8 won't be getting the swish new IE10 browser because the aging hardware can't support it. The not-quite-Windows Phone 8 software update will see Windows Phone 7 devices get some almost-WP8 updates like a revamped Start screen and Xbox Music, among other consolatory prizes. We'd previously heard tell of a Windows Phone 7.8 release date following shortly after the Windows Phone 8 launch date (which was October 29), thanks to a post on the Italian Windows Phone Facebook page. This was also backed up by a leak on a Chinese blog last week; so although nothing's for sure, all signs point to an imminent software treat for WP7 users.